This past weekend we bode farewell to Arya and Klaus – both pups were quick to return back into the ocean with barely a look over their shoulder back at us as we waved them off! With these two beauties returned home, we are now left with 11 seals in the pools. What a relief! In the Rock Pool we only have Bran and Hansel left since Arya and Klaus were released. Both boys have a minor case of the seal pox which are clearing up already and both are a good weight. In our Physio Pool, which we tend to allocate seals that are recovering from injuries or tend to be a little smaller etc. we have Falkor who is looking AMAZING! His front flipper is nearly completely healed now, it remains deformed, but this does not bother him and he is still very well able to swim and manoeuvre and he is very fast and has noooo problem gobbling up all the fish! He will hopefully be released soon. Fizzgig is still quite small but very healthy, and likewise Haggis is also a little lady but she makes up for her small stature with a very mean personality! These two petite girls are in great health but still need to gain more weight before they will be cleared for release – eat up ladies! Repairs and a Rare Day Off! You may have noticed that we were closed for a few days earlier this month to allow for repairs to our centre. For anyone who has been to visit us over the past few months, you will have seen the poor condition of our floors, with weak spots and even some holes! While we did our best to make it safe, it became clear that we would have to fix it before the summer season and an increase in visitors. 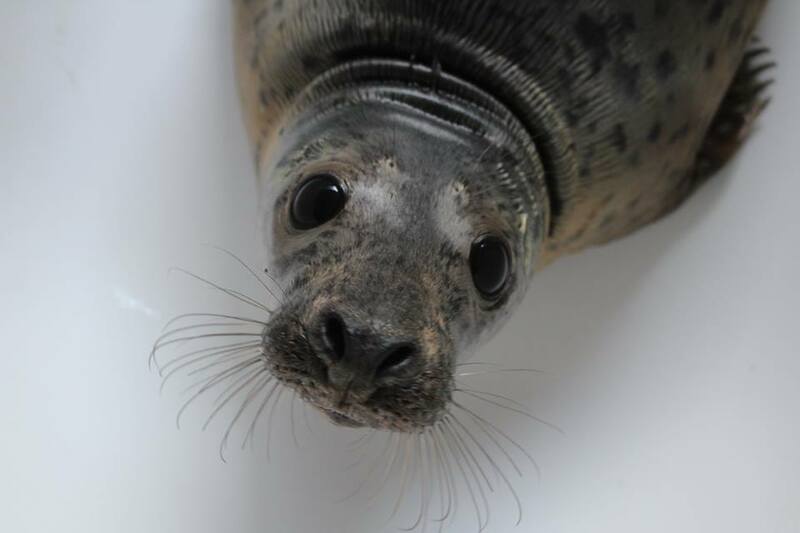 As Seal Rescue Ireland is almost entirely dependent on donations to stay open and pay for the essential things such as fish and vet costs for the seals, we do find it hard to stay afloat, and it can be extremely difficult to find the money for big projects such as new floors. Thankfully, we received a blessing in the shape of Gorey Mens Shed! They are a group of local men who volunteer to make and build things for the community, and they generously donated their time and expertise to help us repair our floors. Without their help, the costs of repairing our floors would have been so, so much higher, and we are so grateful for their help! Our amazing new wooden floors! Also, during one of the days we were closed for repairs, our team also took a few hours off to visit the wonderful Kia Ora Mini Farm, located close-by to our centre. As we almost always have seals in our care, it means we need to be here 365 days a year to care for them, and it is almost impossible that we can all take a day off together. Luckily, the seals in our care right now are quite healthy and only need to be fed a few times a day, so with the centre closed to the public we decided to go and enjoy one of the best attractions in Gorey, Kia Ora Mini Farm. We had an amazing time and loved being able to pet the adorable little animals. We would like to thank the staff there for a truly wonderful day out, and we would highly recommend it for all ages! 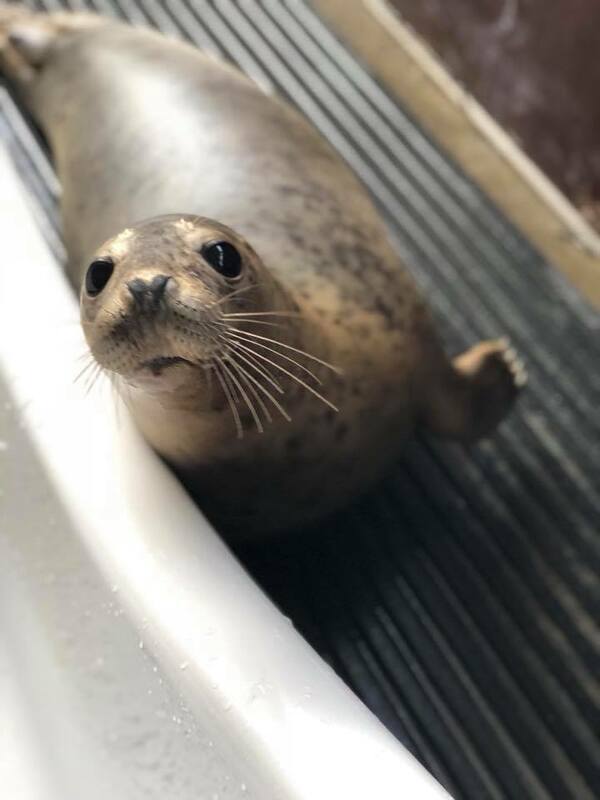 Currently we have 5 seals in the kennels, most of whom had all been out in the pools but have had to temporarily be brought back in for closer monitoring for various reasons. Tauriel, Yvaine and Eleven all have Seal Pox so are quarantined to prevent the spread to other seals. Seal Pox causes lesions on the skin which are uncomfortable but on a healthy seal don't pose a great risk and clear up after a matter of weeks as it is a self limiting virus. All three pups are doing well but are annoyed being back in the kennels! Wednesday is in great shape apart from a persistent ear infection that is keeping her in the kennels and on medication. She is fat and healthy otherwise. Merlin is also back in the kennels with a urinary tract infection that appears to be antibiotic resistant. He is fat, handsome and healthy otherwise but we have to keep him under close observation with regular vet check ups to keep and eye on his condition. It is a relief to have only a few seals in the kennels for now, a breather before the crazy summer season ahead! 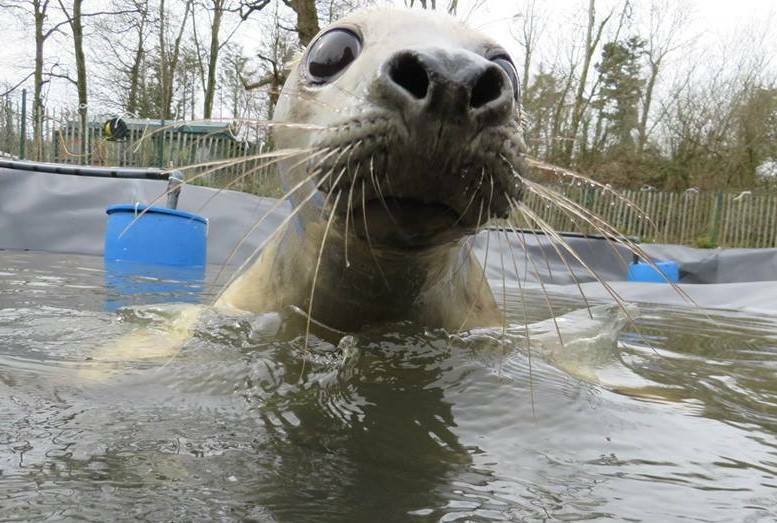 Join us at Seal Rescue Ireland in Courtown for an Egg-citing Easter Saturday and Sunday full of family fun for only €5 per child! Easter Family Fun on both the 15th & 16th April from 10am - 5pm! Let your child learn all about seals as they complete our Easter Discovery Trail & receive a sweet reward!